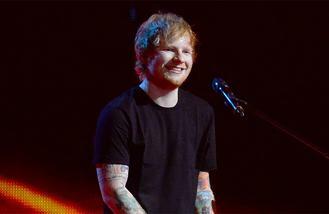 Ed Sheeran has topped Spotify's list of the most influential artists under the age of 25. The 24-year-old star was the company's most streamed artist of 2014 and his ballad 'Thinking Out Loud' is also the most-streamed song of all time, thereby justifying his position at the top of the chart. Second place on the list - which is is based on total streams, number one hits, and volume and growth of streams over the past 12 months - went to US singer Ariana Grande, with Britain's Sam Smith in third position. Meanwhile, Miley Cyrus was named in fourth and One Direction - who were reduced to a four-piece band in March after the departure of Zayn Malik - were listed in fifth. One prominent name who did not feature on the list was Taylor Swift, who decided to remove her hits from the streaming service in November last year, arguing artists were not being fairly rewarded for their music. Taylor previously said: "I think there should be an inherent value placed on art. "I didn't see that happening, perception-wise, when I put my music on Spotify. Everybody's complaining about how music sales are shrinking, but nobody's changing the way they're doing things." Carrie Underwood has announced her new album. Timbaland is to sample an unreleased Marilyn Monroe track. Cheryl Fernandez-Versini and Rita Ora really have become best gal pals after bonding as X Factor co-judges. The Beatles' first recording contract has been put up for auction. Dougie Poynter has vowed not to duet with Ellie Goulding. Jess Glynne rejected the opportunity to audition for 'The X Factor'. Ed Sheeran performs at Ronan Keating's wedding to Storm Uechtritz. One Direction, Pharrell Williams and Florence + The Machine have been announced as headline acts for this year’s Apple Music Festival. Charli XCX is planning to write for Rita Ora's new album.